In my work as a labor and delivery and postpartum nurse for over 12 years, I had the honor of witnessing over a thousand births, each one unique in its own way. Now, I have merged my two greatest passions, supporting families during their transition into parenthood and visual storytelling, by offering doula support while documenting birth stories as a labor and delivery photographer. 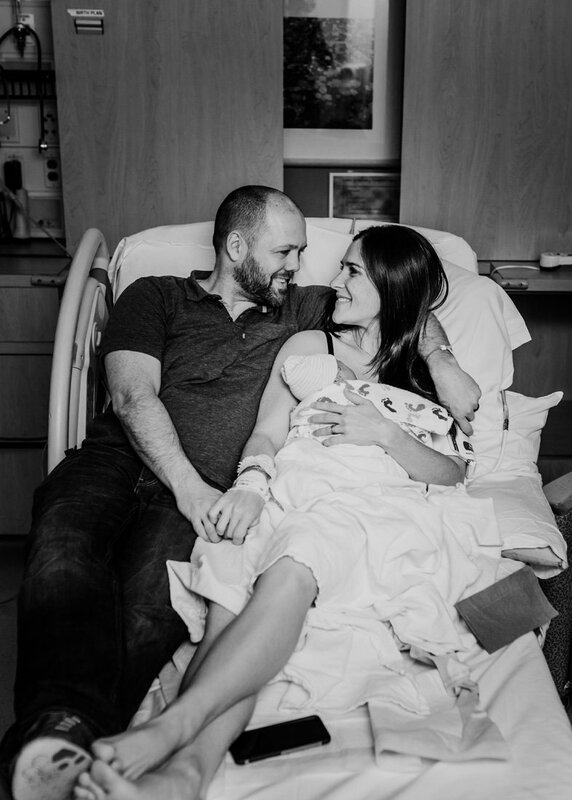 As your birth photographer, I will artistically document your unique story of labor, birth, and meeting your sweet baby. Using my deep understanding and respect of labor and birth, I will melt into the background, but be there to provide support to you and your partner as needed. I use a combination of natural and ambient light available in the room as well as a discreet flash as needed. This allows me to capture sharp images of the most important moments while you labor in a dimly lit environment. For families interested in additional guidance before, during, and after birth, I offer birth doula services in combination with birth photography. See below for details. If you are considering hiring a labor and delivery photographer or doula for your next birth, please do not hesitate to reach out. I would love to answer any questions you may have about either service! In person pre-natal consultation in the comfort of your home to get to know each other and go over your preferences so that I can customize your birth photography experience. On-call availability 24/7 starting at 38 weeks. Labor and delivery photography from approximately 5 cm dilation to 2 hours after delivery. This could mean I’m with you 6 hours or 16 hours, but you are not charged more for a long labor. All hand edited digital images in black and white and color with print release (number of images will vary depending on length of labor, from approximately 100 images and up). A finished album featuring all of your favorite images from your labor and delivery. If you choose to add on a Maternity or Newborn session, those images can also be included. With this option, you will receive the additional guidance and hands on support detailed below, balanced with professional photo documentation of your labor, birth, and two hours after. All the services listed under Birth Photography. 2 additional pre-natal visits to discuss your birth preferences, review evidence based information, introduce tools and comfort techniques to use in labor, and answer any other questions you may have. I have an extensive lending library and can also help you connect to the many great prenatal and postpartum services throughout Portland. Availability by phone for unlimited email, phone, and text support. When you have a question or concern, I’m here for you, day or night. Physical, informational, and emotional support during labor (beginning at home, if needed) as well as breastfeeding support immediately after delivery. A postpartum visit at your home to support your transition into parenthood, assist with breastfeeding, answer newborn care questions, and connect you to other resources to help with your fourth trimester. Complimentary art selection and design consultation. 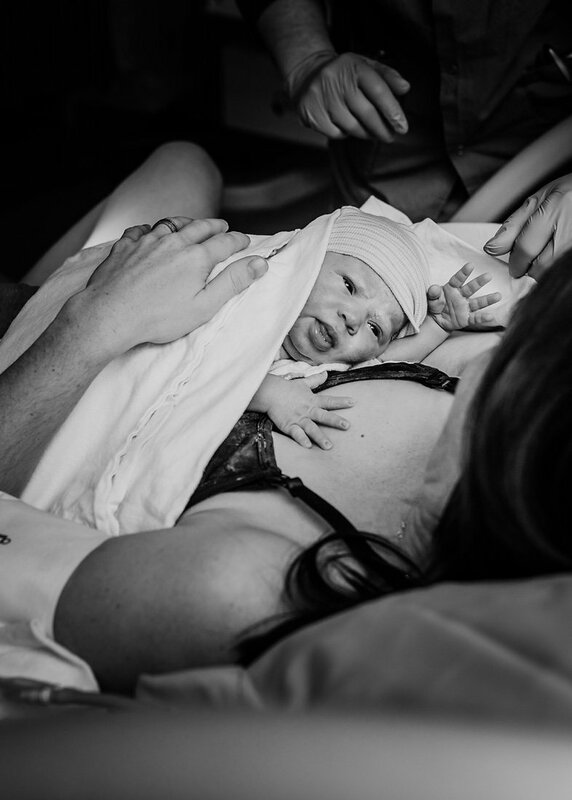 Jen photographed the birth of our baby and we are so incredibly grateful she was there. She melted into the background letting us naturally be in the moment, enjoying the birth of our daughter but still managed to capture the most amazing moments on camera that we never would have seen. Her photography froze in time the most precious moments of our lives, moments that we now get to relive again and again thanks to Jen. I cannot say enough good about Jen's talent, professionalism, and artistry. I would hands down recommend to every single expecting couple to have Jen photograph their birth experience. It is the best gift you can give to yourself (besides your baby of course). Jen did such a beautiful job capturing my delivery as a gestational carrier. If it weren’t for her pictures, I would have never gotten to see the the moms face as she helped deliver her baby. Pictures really are worth a thousand words. Thank you for reaching out!! Do some light stalking on Instagram!